Study MBBS in Ukraine | Bukovinian State Medical University is one of the largest higher educational establishments in Chernivtsy. It is fully government multistructural educational institution of the highest level of accreditation providing educational programs of different levels. Founded in 1944, Bukovinian State Medical University occupies a remarkable place among the leading medical educational institutions of Eastern Europe, combining tradition with dynamism and competence in research and education. 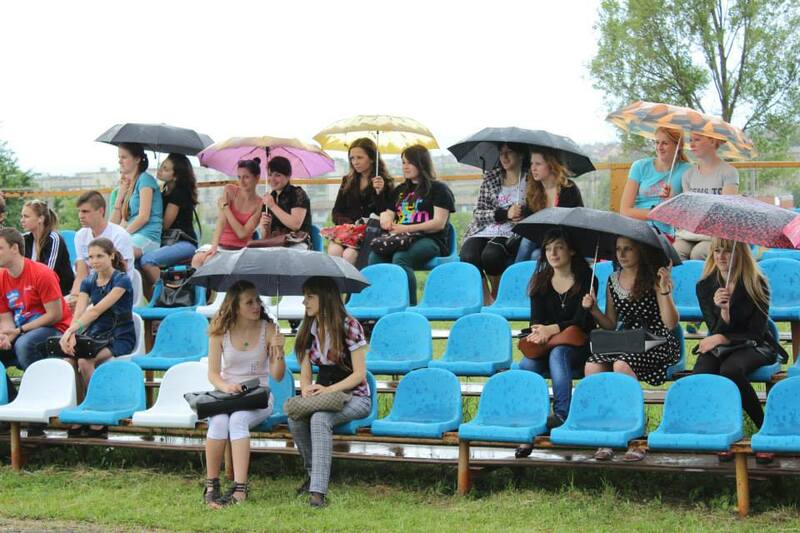 All activities of the University are approved by the Ministry of Public Health of Ukraine, to which it is subordinated. 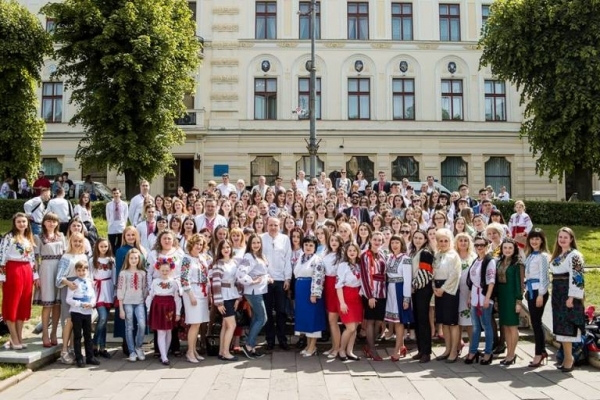 The University acts on the basis of its Statute, agreed by the Ministry of Education and Science, Youth and Sports of Ukraine and adopted by the Ministry of Public Health of Ukraine. 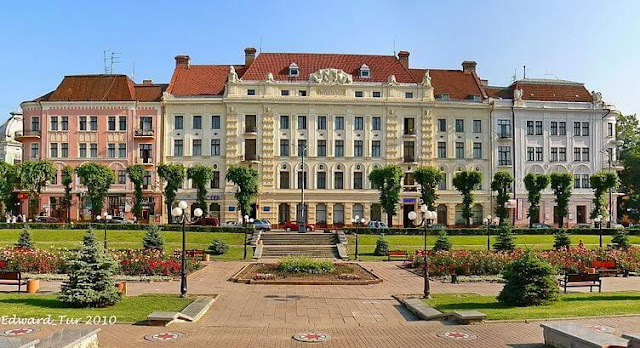 Bukovinian State Medical University is a member of the International Association of Educational Universities (IAEU), the World Health Organization (WHO), the Association of Carpathian Region Universities (ACRU), the Magna Charta Universitatum, and Bukovinian University Consortium. 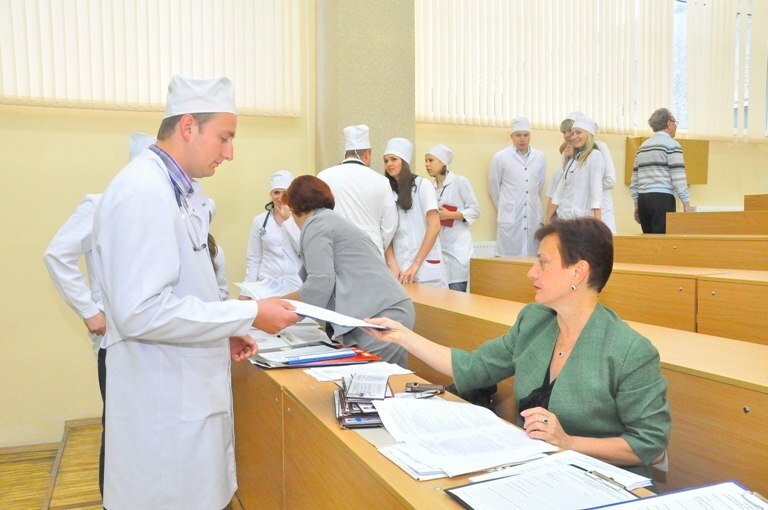 With seven faculties, a number of hospitals and research centres, Bukovinian State Medical University draws attention of young people willing to study medicine and acquire professional medical skills. Production Kiev Medical Institute (1931-1936) - 2nd Kiev State Medical Institute ( 1936-1944 ) - Chernovtsy State Medical Institute ( 1944-1997 ) - Bukovina State Medical Academy ( 1997-2005) - Bukovina State Medical University (2005 ) - this is a brief history of foundation and development of the newly established in 1931, the higher education institution and its transformation into a modern Bukovina State Medical University ( BSMU )  . Since its inception to the present educational institution under the influence of various circumstances change both the name and location , but never changed the status of higher education and did not interrupt its activities to prepare highly qualified doctors. The Kyiv Productive Medical Institute (1931-1936) – the 2ndKyiv State Medical Institute (1936 -1944) – the Chernivtsi State Medical Institute (1944-1997) – the Bukovinian State Medical Academy (1997-2005) - since 2005 –Bukovinian State Medical University- such is a brief history of the foundation and development of the institution of higher education established in 1931 and its transformation into present-day Bukovinian State Medical University (BSMU). 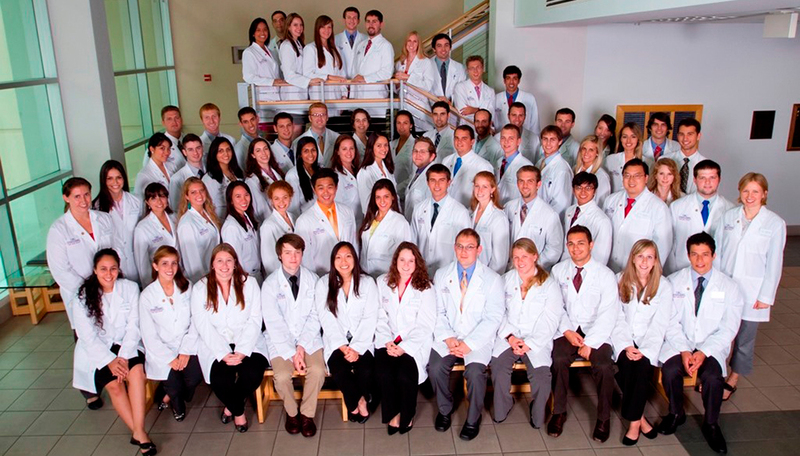 Since its foundation up to the present time the educational institution has changed both its name and location, under the influence of various circumstances, but has never changed the status of the institution of higher education and has not interrupted its activities in training highly qualified physicians. In the spring of 1931 in accordance with the decree of the Council of People's Commissars (CPS) the Productive Medical Institute was established on the base of the Kyiv First Workers’ Hospital which started the training of doctors from doctor’s assistants and nurses without discontinuing work. The director of the newly-created Institute, a Candidate of Medical Sciences, the obstetrician-gynecologist N.H.Okroparydze was appointed. 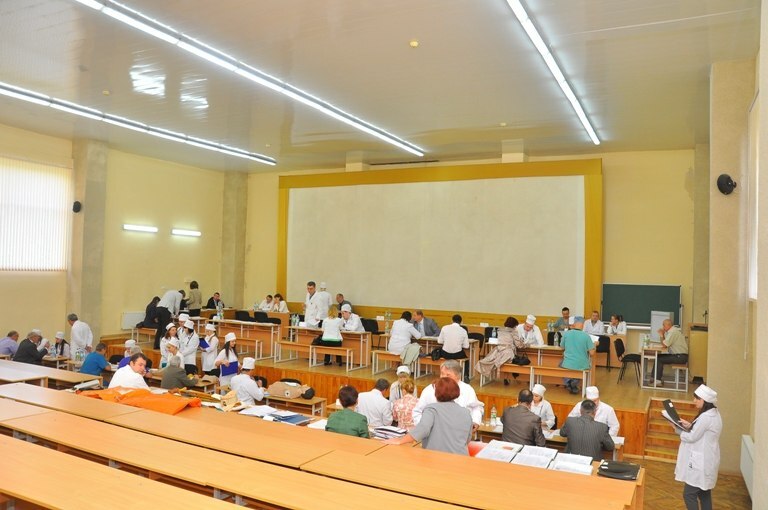 The functions of the Clinical Deparments were performed by the corresponding hospital units according to the profile, and the responsibilities of the Heads of the Departments were entrusted to the heads of these units. The hospital laboratories were simultaneously the laboratories for Theoretical Departments of the Productive Medical Institute. In 1931, there were three admission periods of students ( 42 persons in June, 84 in August, 112 in December), and two admissions in 1932 (200 persons in April and August) from medical workers of the First Workers’ Hospital and the Zhovtneva Hospital, Kyiv’s polyclinics and the Institute of Maternity and Childhood Protection. 42 certified doctors graduated in 1934, whereas in 1935 - 34 graduates.Thepractical experience of the "Hospital-Institute" and the professional level of doctors of the first graduations showed that the First Workers’ Hospital was a good training base, which provided a high level of doctors’ training. Therefore, at the request of the People's Commissariat of Health Protection (PCHP), the Council of People's Commissars of the Ukrainian Soviet Socialist Republic (USSR), on the basis of Decree № 1049 of the 16th of July 1936, reorganized the Kyiv Productive Medical Institute from the 1st of September, 1936 into the stationary 2nd Kyiv State Medical Institute (2nd KSMI) with a Medical Faculty. On the basis of the same decree the buildings and equipment of the First Workers’ Hospital were transferred to the possession of the 2nd KSMI, that enabled to place all the Theoretical and most of the Clinical Departments in the picturesque institute’s estate. Out of 20 Clinical Departments 16 were created and placed in specialized departments of the hospital which became the Institute’s own clinics, and the remaining six on the basis of municipal and departmental hospitals of Kyiv. M.Ye. Lymanskyi, a Candidate of Medical Sciences, the chief of this Hospital was appointed as the Director of the Institute. Many Departments of the 2nd Kyiv Medical Institute were headed by famous academicians V.Yu.Chahovets (Department of Normal Physiology), V.M.Ivanov (Department of General Therapy), I.M.Ishchenko (Department of General Surgery), A.I.Zamkova-Smirnova (Department of Pathologic Anatomy), Professors B.Ya.Padalka (Department of Infectious Diseases), H.S.Barh (Department of Microbiology), V.H.Lazarev (Department of Neurology), P.I.Barannyk (Department of General Hygiene), I.V.Bazylevych (Department of Hospital Therapy), A.S.Berliand (Department of Propedeutics of Internal Diseases), A.M.Olshanetskyi (Department of Obstetrics and Gynecology), B.M.Horodynskyi (Department of Hospital Surgery), V.H.Balaban (Department of Pediatric Diseases), S.I.Radchenko (Department of Social Hygiene), Ye.I.Levin (Department of Dermatovenereology), Ya.H.Zamkovskyi (Department of Eye Diseases), V.P.Kibalchych (Department of Anatomy), P.S.Shydlovskyi (Department of Topographic Anatomy), R.A.Dymshshch (Department of Pathophysiology), F.I. Geilih (Department of Pharmacology), B.M.Koldaiev (Department of Biochemistry), S.M.Chumakov (Department of Inorganic Chemistry) and others. During 1931-1940 the number of the students increased from 47 (in 1931) to 1618 (1940), and the graduation of doctors increased from 42 (in 1934) to 245 (1940). 560 doctors were trained over a 10- year period (1931-1941). At the beginning of World War II, in July 1941, all the students of the Institute were directed to Kharkiv because of a threat of an occupation of Kyiv, where they were temporarily enrolled into the 1st Kharkiv Medical Institute. 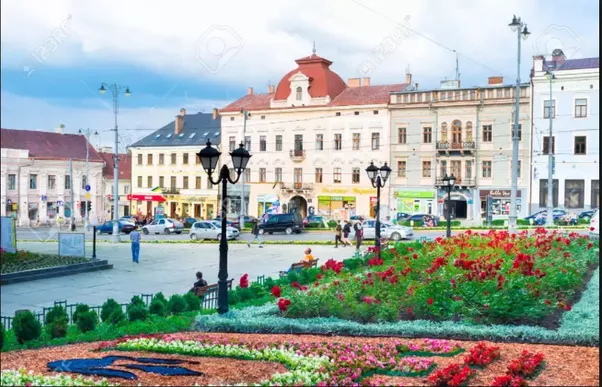 In August the educational and material resources and the available at that time professorial and teaching staff of 1-st and 2-nd Kyiv Medical Institutes were evacuated to Kharkiv . Undergoing regular bombings, not all trains could reach Kharkiv without losses. Therefore, a United Kyiv Medical Institute was temporarily established over the period of war by the decision of the Government of the USSR via combining the regular staff and educational-material resources of the two Medical Institutes, which they managed to collect in Kharkiv after the evacuation from Kyiv, the Kyiv United Medical Institute was established. The departments of this Institute were completed not according to the manning schedule, but combined the personnel and the equipment of both Kyiv Institutes. 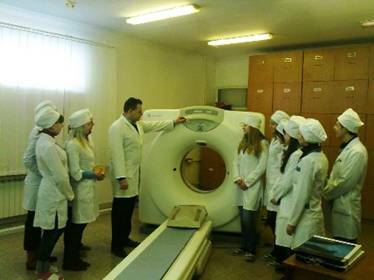 With such a staff and the equipment the Kyiv Medical United Institute functioned till the resumption of the activity of the 1st and 2nd Medical Institutes as individual educational institutions in 1944. The threat of Kharkiv’s occupation by the enemy forced to evacuate the Kyiv Medical United Institute to the City of Cheliabinsk in the Urals, where it was located at 35 Commune street and worked until returning in 1943 to liberated Kyiv. 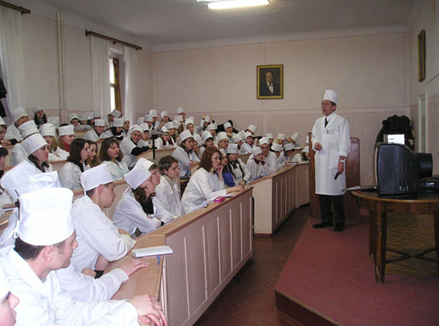 The Chelyabinsk Medical Institute (now the Cheliabinsk State Medical Academy) created at the expense of the material equipment and the personnel of the Departments and clinics of the Kyiv Medical Institutes functionate up till now. primary specialization of the graduates of high medical (pharmaceutical) educational establishments of iii–ivth accreditation levels in clinical residency. obtaining of the educational qualification degree of master of medicine (pharmacy) in certain speciality by physicians and pharmacists. physicians retraining with awarding the title of a doctor (pharmacist) for acquiring a new, second medical (pharmaceutical) speciality. professional development and organization of passing of pre–attestation courses, cycles as well as thematic training for/by physicians. 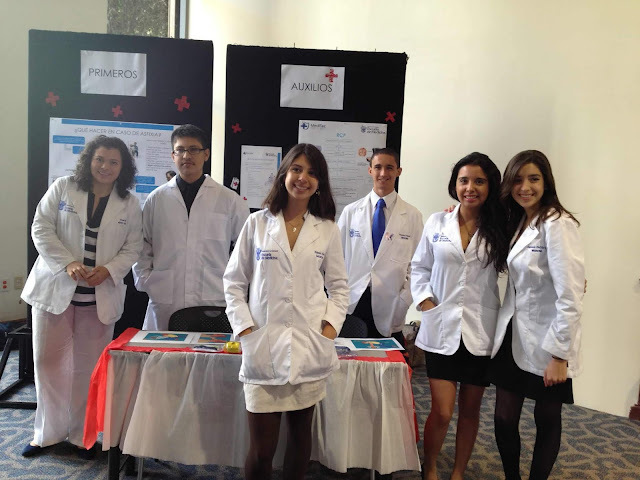 probation of physicians who had a break in their practical activities or didn’t take the attestation or exams in time. The department cooperates with foreign partners in the field of introduction of new scientific–substantiated standards for the postgraduate specialization. See below the full list of specializations that a graduate can acquire while studying at the university. Vinnitsa National Medical University has a very good hostel system with fully furnished rooms, quite study environment and surrounded with recreation center. 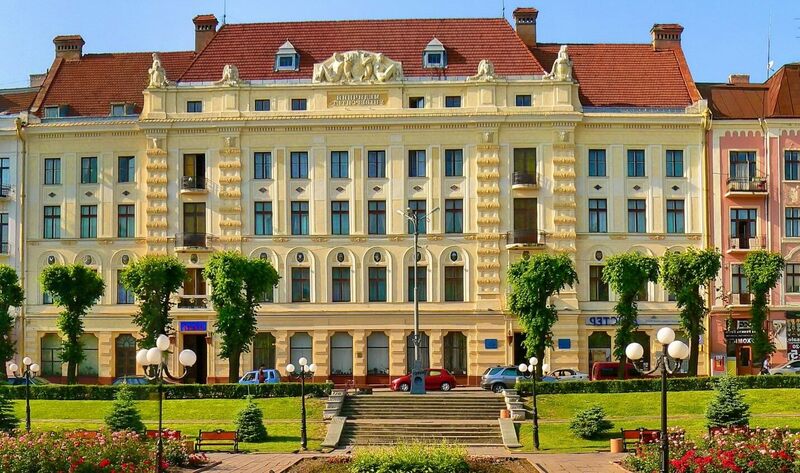 The Vinnitsa National Medical University 7 hostels with the total area of 44512 sq.m for accommodation of 3344 students. 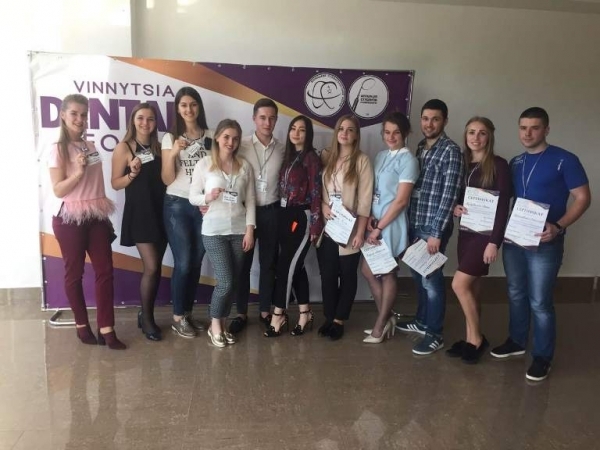 Vinnitsa National Medical University provides a guarantee of accommodation placement services to all international students who receive an academic offer. There are several accommodation options for international students and it is important to consider whether you prefer an independent lifestyle or enjoy living in a community. Rooms on campus are available to students. All hostel rooms are furnished and vary in size and number of conveniences. 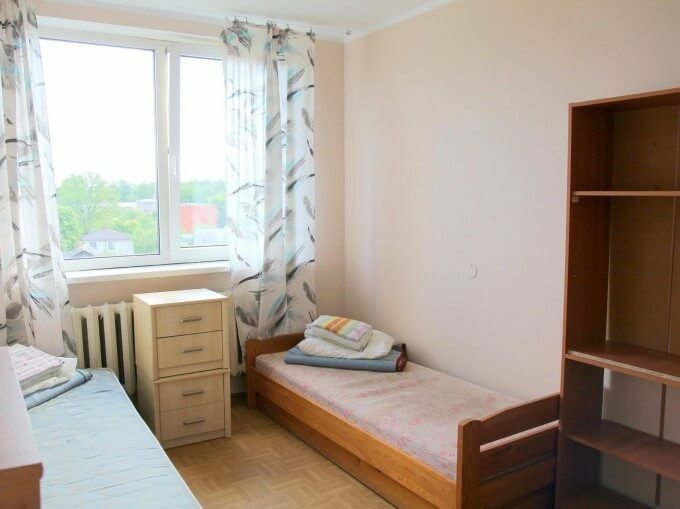 Dormitory rooms at Vinnitsa National Medical University hostel can accommodate 2 or 3 students to a room. To issue an invitation letter we require the following documents and payments of 550 US$(which includes invitation charges 450 US$ and 100 US$ courier charges).